Shen Man is a middling singer. Big Li is a mediocre comedian. Each makes thousands of dollars a month as a live-stream video host on the Chinese website YY. As live-streaming becomes one of the most popular forms of entertainment in China, the wealthy and the poor alike have the power to turn hosts into idols. The popularity of the hosts is built on the foundation of poor fans (“diaosi”), who enter the host’s showroom and view the live-stream. As a host becomes more popular they attract wealthy patrons, who will pay the host up to five figures a month for their attention. Then a host signs with a talent agency, who will spend money to increase the host’s popularity while taking a percentage of what the host earns off that popularity. And that’s after YY takes their 60% cut. Filmmaker Hao Wu views with clarity the desperate loneliness underpinning this self-perpetuating, self-consuming system. Hosts like don’t necessarily draw diaosi through any kind of quantifiable ability: they’re drawn to them because they see them as aspirational figures, ones who made it, in an increasingly atomized, ossified social order. But Shen Man and Big Li contend with their own solitude. Thrust into unforeseen wealth and celebrity, they must become dehumanized objects of entertainment to support their households. They’re dependent on the fickle attention of fans; that dependency makes them resentful and depressed; they become alienated from their families. 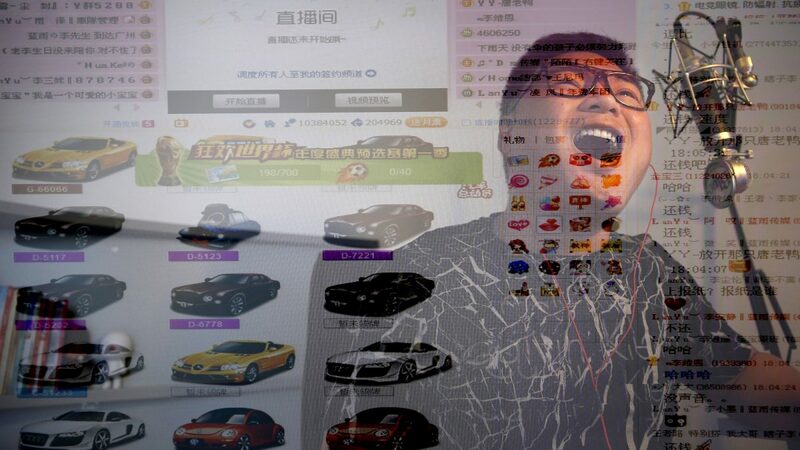 People’s Republic of Desire is a cautionary transmission from a world in which humans are being transformed into digital commodities, to be discarded as easily as closing a browser window.